Krakow’s Old Town is still permeated with the aura of a bygone era along with beautiful architecture and a truly unique atmosphere. Its treasures and character are significant enough to make it part of the UNESCO List of World Heritage Sites. Our guides will take you to the most charming and famous places in the heart of the city for an unforgettable visit to Poland’s most historic city. The main square and the streets of the Old Town were established under the Magdeburg Laws in the year 1257. Wealthy families commissioned great works of art and architecture and city becaome known for its ornate beauty. Over time, structures like St. Mary’s Church with its altar by Wit Stwosz and the Cloth Hall appeared and reflected the artistic influences of the time. The buildings in and near the main square grew in number and became more impressive. The city was surrounded by defensive walls, the remains of which can be seen today near the 14th century Florian Gate. in 1400, the Polish monarchy established the Krakow Academy and it soon found a permanent home in center of the city. Today you can visit the oldest building from that time, the amazing Collegium Maius. 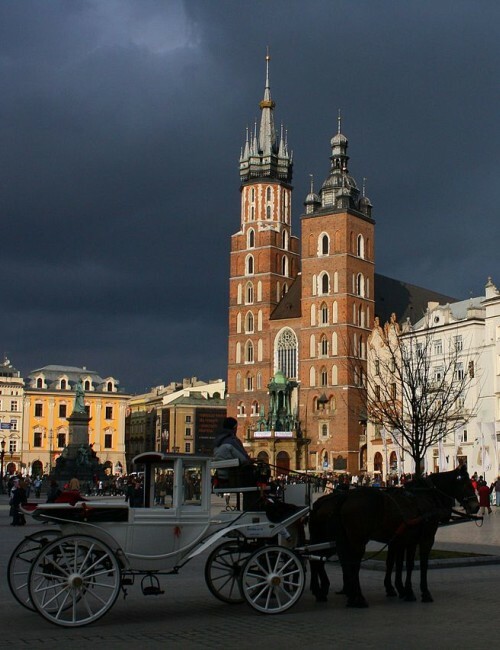 Krakow’s Old Town is full of breathtaking holy sites from various eras. 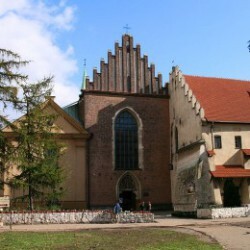 During our visit, we will stop by the Franciscan Church with its incredible works of art from Stanislaw Wyspianski. Along the way, you will walk the same streets as giants of history like Nicholas Copernicus and Karol Wojtyla, later known to the world as Pope John Paul II. A walk through Krakow with one of our guides is a journey into a world full of history, art, legends, stories and beauty around every corner. 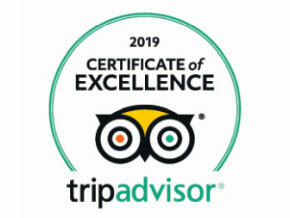 We can arrange a tour to suit your specific interests and tastes or you can join us on paths that include all the sites that have made Krakow into a major destination for vistitors from around the world. The tour lasts around two hours and is available in English, German, Swedish, Russian, French, Spanish and Italian. The tour begins at the Florian Gate. 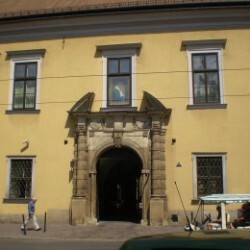 The medieval defensive fortifications that surrounded the city were destroyed in the 19th century, leaving only a small fragment around the main entrance to the city, the Florian Gate. Fortunately for us today, the gate still exists in its orginal splendour along the the Barbican, the main fortress protecting the entrance. The main pedestrian thoroughgfare of the city, Florianska street is lined with beautiful and historic homes from various historical eras and offers a perfect view of St. Mary’s Church in the main square. This is where you can find the Jama Michalikowa cafe, once the artistic heart of the city along with countless other significant sites associated with the most famous names in the country. Krakow’s Main Square is not only the geographical center of town, but the social, cultural and commercial center as well. It is the largest medieval square in Europe and among the largest of any kind of square, at 200 meters by 200 meters. It was established in 1257 in the aftermath of the rebuilding of the city after the devastating Mongol raids about 20 years earlier. The square has been the site of countless dramatic and iconic moments not just in the history of the city but in all of Poland. One of the most important stops on our tour or any tour of Krakow is a visit to St. Mary’s Church in the main square. Its tall but uneven towers are symbols of the city. Inside, visitors will be immersed in colourful decorations, Gothic architecture, Baroque influences and elements straight out of the Renaissance. The unusual but magnificent background for much of the interior is formed by 19th century murals designed by Jan Matejko and colourful stained-glass windows from the same period. The real treasure of this parish church of the city of Krakow, however, is the altar of Wit Stwosz – a work of stunning craftsmanship made by specialists from around the world. Trade was one of the primary sources of income for the residents of Krakow and for centuries the Cloth Hall was the focus of much commerial activity. The first version of the building was constructed in the 14th century but its form has been significantly changed and reshaped over the centuries. Its appearance today is a mix of previous artistic influences and the combination makes it a fascinating destination for lovers of art and architecture. This is one of the most interesting examples of 14th century city architecture in Poland. But why is there just a clock tower and nothing else? At the beginning of the 19th century the decision was made to destroy the rest of the structure and leave the clock tower standing. Before that, the building was even larger but much of it was destroyed in the 1820’s when it was found to be beyond repair. Still, even in its present much-reduced form, it is one of the three iconic structures in the square along with St. Mary’s Church and the Cloth Hall. Another point of interest in any tour of the Old Town is the university district. The Krakow Academy enjoys the distinction of being the oldest Polish university and was founded by King Kazimierz the Great. It struggled after his death but was re-endowed by other monarchs and grew to great prominence all over Europe in the Middle Ages. 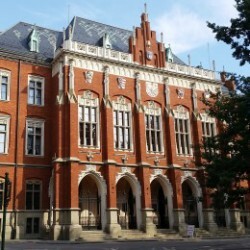 Collegium Maius is the oldest existing building of the university and still holds a very prominent place in the ceremonial life of the school. The streets around the building form the core of the student district, which is loud and lively during the academic year. The university district is very close to Franciszkanska Street and the Bishop’s Palace and the famous window where Pope John Paul II would address and bless pilgrims during his many visits to Krakow. The city played an exceptionally important part in his life, starting with his university education and through his entry into the priesthood and advancement in the church. Krakow is where he moved from to the Vatican and he returned here as often as he could, using the window at the Bishop’s Palace as his stage to address all of Poland. The Franciscans came to Krakow from Prague in the first half of the 13th century under the patronage of the Polish monarch. Situated just across the street from the Bishop’s Palace, the Franciscan Church was one of John Paul II’s favourite places for prayer and reflection. After extensive damage from a fire in 1850, famous contemporary artists were commissioned to complete the new interior. Today we can see the amazing work of these gifted hands, including the masterful work of Stanislaw Wyspanski. It’s here that our walk around the Old Town comes to an end!